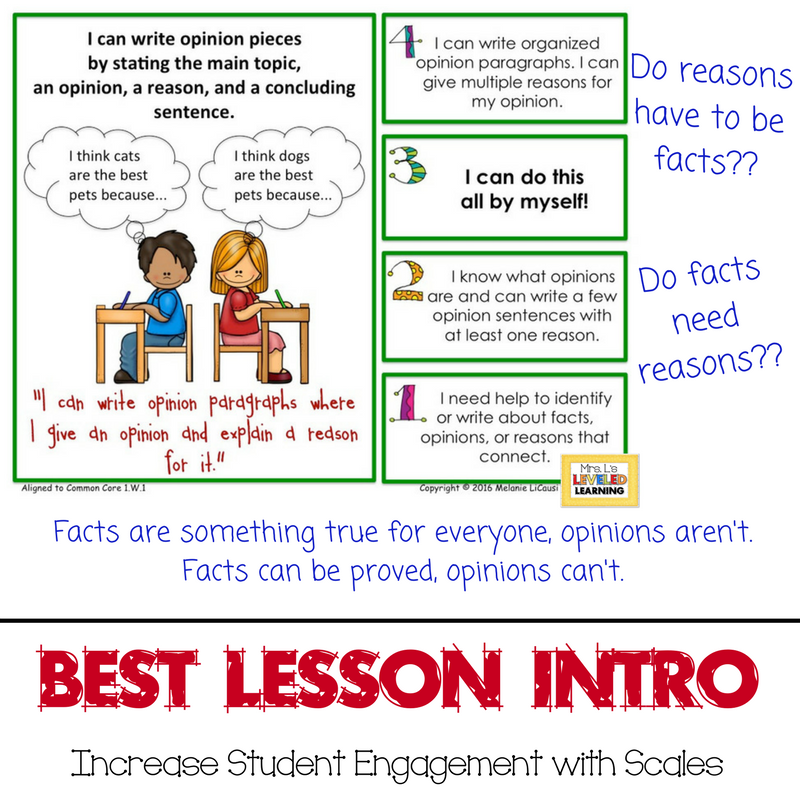 Have you ever struggled to engage your students attention in a lesson? Most kids decide on their interest or engagement level in the first minute. If they feel unfamiliar, overwhelmed, or don’t see the relevance of content they can immediately turn off. You find yourself trying every teaching strategy you know just to hold their interest. How can you engage students and help them feel connected to content right away? 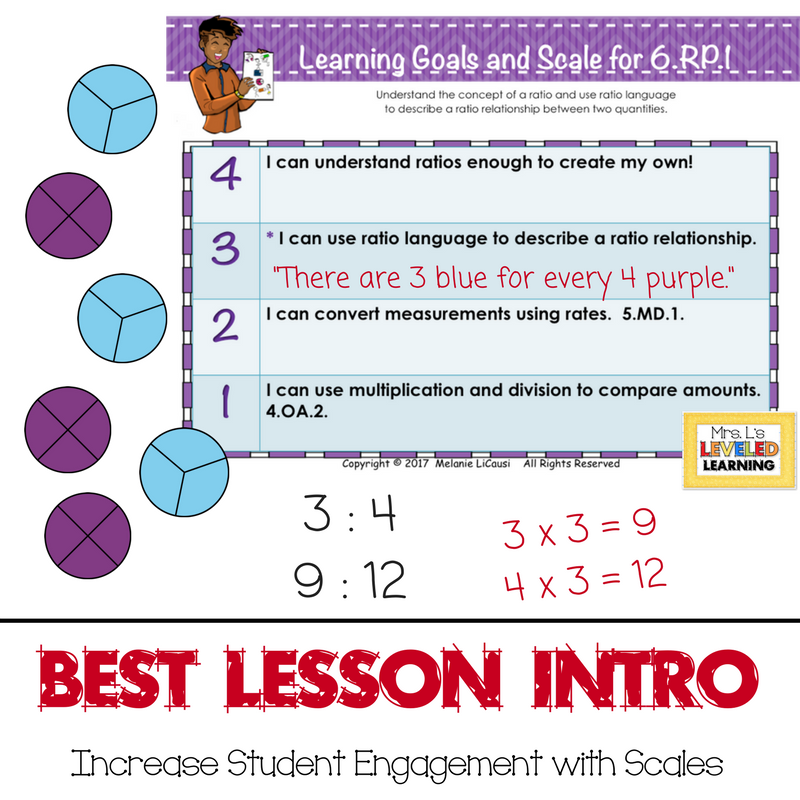 I have found the best strategy to introduce new content – Learning Scales! Present the scales written in kid-friendly language. Visual references are key for giving kids something to look at, as well as something to post and review every day you work on the same content. I use the SMARTboard or projector to digitally present the scale first, and then it is posted somewhere in my room for reference later. 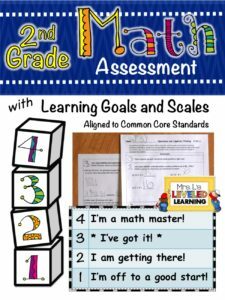 Start by reading LEVEL 3, which is their grade level goal for the year. I give a brief explanation or sample task to explain what it means and show them what it looks like. Ask them to think about their level of familiarity with that content/skill. Does it sound familiar? Do they think they already know something about this topic? Read LEVEL 1 aloud and give a sample problem so (hopefully) everyone in the class is engaged in a quick task they feel confident about. Explain that LEVEL 1 is knowledge they already have that will help them to learn the new content for the year. Reread LEVEL 2 and explain how it is just a little bit harder, extending the same idea from LEVEL 1. Point out any patterns in the content language, example problems, or visual representations. Reread LEVEL 3 and briefly point out the same patterns again. 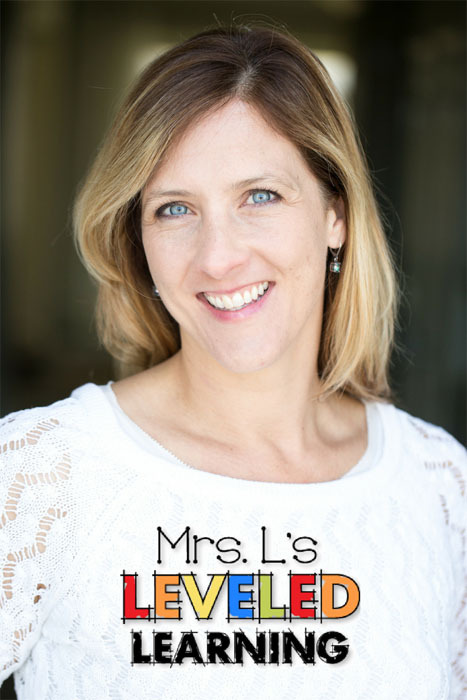 Introduce LEVEL 4 for your student who really need a challenge, or are excited to try something harder. OR Save it for them in a private small group or independent work time. You may want to spend the most instructional time at the level where you see most of your students are connecting with the material. 8. Have a Q & A session. Ask your students what other connections or examples they can connect and write some on the board. This can become an anchor chart and visual reference on the days you work with the content. If you’re using an interactive white board, you can print the screen image, resize it, and post in your room. 9. Give an informal pre-assessment. Think of one task for each level. Ask your students to start at level 1, then complete each successive task in order. I usually give a time limit and see how far they get. Collect their work and you have some instant feedback on where to start planning and how to sort students into groups based on needs. For older children, you might ask them to take one minute to reflect on what level they think they are. Then try to complete one problem at the highest level they can. This process could be as detailed or brief as you see fit. The point is to get your students engaged at their own level! Help them to immediately connect with the content, feel confident in their ability to learn more, and have some focus to direct their own attention. I give myself the entire first class period to go through this process and pre-assess them, formally or informally (click here to see how I pre-assess). This first day is invaluable to me in planning and differentiating my instruction for the next few weeks. It is also invaluable to them to immediately connect with new content and have time to explore it from different levels of difficulty. You know your students best, so play with the ideas and see how much more they show you about their abilities!